Two of my sons are public figures in Belize. My eldest son, Mose, makes public statements most weekday mornings as host of a talk show on KREM Radio/TV. He is also frequently invited to address schools and organizations. My second son, Cordel, was recently endorsed as the Lake Independence standard bearer for the Opposition People’s United Party (PUP), after a hiatus of a couple years. (He had represented Lake I in the House from 1998 to 2012.) He addresses PUP conventions and rallies, in addition to being a weekly panelist on the KREM Radio Sunday morning sports show. Of late, I get to talk with Cordel more frequently than I do with Mose. I would say that these two talk much more frequently with each other than they do with me. (Only a couple years separate them in age.) For the purposes of this column, it is important to note that: that they are more in contact with each other than they are with me. 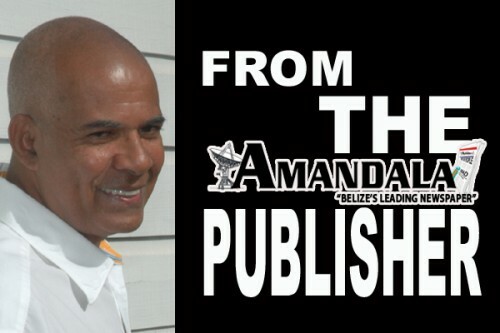 When my generation, the post-World War II generation, was growing up in Belize five to six decades ago, older Belizeans were in more authority than they are today. Life was substantially slower back then. Belize was isolated both with reference to geography and to information. All this phone and computer technology these days has contributed to empowering our younger generations to a point where older people have to move out of their way earlier than used to be the case. “Boss Fred” Westby was Mayor of Belize well into his eighties, I believe. This could never be today. The oldest man in the Belize House of Representatives is around seventy, and there are times he appears old and doddering by comparison with his colleagues. When I was young, seventy was much younger than it is today. Times have changed. Last week I did not produce a column for our weekend issue. I would not normally miss a column for a long holiday weekend, because on such weekends readers have more time to examine the newspaper. But last week there was a lot of anger boiling up in me, and I felt it would be too difficult to restrain myself. Perhaps some of that anger was frustration, derived from the fact that, despite my best efforts over the adult years of my life, the enemies of Belize appear to be achieving their goals. In the old days when white supremacy ruled unchallenged in British Honduras, last weekend would have been the “Columbus Day” holiday. There is a cloud of Belizean ignorance hanging over this holiday. For sure we know that Thomas Vincent Ramos and his brethren agitated for the Carib (now Garifuna) Settlement Day holiday in the early 1940s, and that holiday was granted by the British colonial authorities. When was Columbus Day introduced here, and why? Centuries-old European propaganda lies about Columbus were essentially exploded by indigenous peoples and their supporters at the time of the Columbus quincentennial in 1992. Christopher Columbus enslaved and tortured and murdered more indigenous people than you can imagine. Yet, until 1992, he was being portrayed as a great hero of Christianity, a champion pioneer of Christianity in the “New World,” that same Christianity which for the centuries since has controlled the education of his victims’ descendants. In 2014 independent Belize, the Columbus holiday remains, but it no longer has a name. Knowledge, you see, has not only increased in the velocity of its availability: the sheer quantum of knowledge now accessible is totally awesome. Columbus has become a sick joke, embarrassing to the institutions which had been promoting his beatification. Yet, Columbus was not the ultimate source of my anger last week: Guatemala was. In my youth, there was always a racial aspect to the Guatemalan claim. For the black majority in British Honduras, the rest of Central America seemed monolithically “Spanish.” We were ignorant. This was definitely not the case. In British Honduras, we knew that the Guatemalan rulers saw us Belizeans as black interlopers on the Central American mainland who had been introduced here by the imperialist British. What we did not know in my youth was that the majority of Guatemalans were indigenous people who were being crushed by a neo-European oligarchical elite. Neither did we know of the significant black populations in Honduras, Nicaragua, Costa Rica, Panama, even Colombia, Venezuela, and Peru. My children and their generation know so much more about so many more things than we did. Sometimes that reality makes me feel irrelevant. The fact of the matter is that my generation of Belizeans is the one which is settled in the United States. The Belizean generations which will decide the future of this nation-state are younger than us. More and more, they look past people my age: they have to. As a Belizean people, we should never have been in the situations which history will know as Danny Conorquie and Caracol and Hunting Caye. These situations were designed by some of the same people we older Belizeans consider our bosom friends – the British, the Americans, Rome, Canterbury, and so on, and so forth. Danny Conorquie, Caracol, and Hunting Caye said to yours truly in the most stark of terms: you have failed. But, you know, life goes on. The end of one day is the beginning of another. The fading of one generation brings the rise of another. Such is life. This week Tuesday afternoon, at the end of an assignment interview of myself by a University of Belize student, she asked what I would say to the students in her class if offered the opportunity. The fact that the interview was being recorded/videoed with this new technology, gave me such an opportunity. Her interview questions had focused on the UBAD Party, which lasted from August of 1970 until November of 1974, participated (only partially actually) in two elections – one municipal (1971) and one general (1974), and had been the real opposition to the ruling PUP in 1972. I thought an uncharacteristically long time before I answered. Finally, I said to her that what my two sons who are public figures would have to say to such students, would be more relevant. So much has changed in the last four decades. Really, this is a new Belize. But, some of the problems are old. One of these old problems is Guatemala. If you wish, you may throw in a little Columbus on the side.